'Elephant Tracks' In Your Local Starbucks! 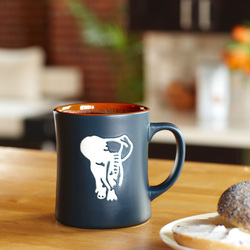 OK, everyone is getting into the Elephant Track business--even Starbucks--we're not selling these-but look for them at your Starbucks store-they're pretty cool. And, NO, these are not our LOGO - but it is a good reminder to always know where the Elephants are!